When filling in your tax return, you declare the grossed up dividend (dividend received plus tax credit) as dividend income and claim the tax credit against your tax payable. Note that if the company pays tax at the full company tax rate of 30% then your dividend is “fully franked” otherwise your dividend payment is only partly franked. Some companies offer dividend reinvestment plans where dividends are automatically used to purchase shares in the company. Although you don’t actually receive the dividend in cash, you must still include the amount in your tax return. If you do not normally lodge a tax return, remember you can claim your tax (franking) credits and get a refund from the Tax Office. Non-resident investors pay no withholding taxes on franked dividends but a withholding tax on unfranked dividends of 15% (where Double Tax Agreement exists) or 30% (where no Double Tax Agreement). If you have a choice and want to keep life simple, avoid investments in unit trusts. The taxation of distributions to unitholders, borders on the insane. Add in the hassle of waiting for year-end distribution statements and it is just not worth it. Click here for tax rates for 2010, 2011 and 2012 for both Australian residents and non-residents. 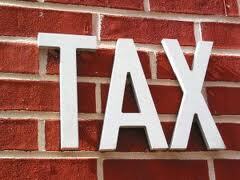 Capital Gains Tax (CGT) is the tax you pay on capital gains that arise from the disposal of shares. CGT also applies to other assets including investment property (but not your residence) managed funds etc., acquired after 19 September, 1985. You’re liable for CGT if your capital gains exceed your capital losses in an income year. The net capital gain is total capital gains minus total capital losses minus the CGT discount. The capital losses include unapplied net capital losses from earlier years. Shares need to be held for 12 months to get the CGT discount which is 50% of capital gains - capital losses are taken away from capital gains before the CGT discount is applied. The discount is available to individuals, but not to companies. CGT is not a separate tax - the net capital gain is added to your income and taxed at your marginal income tax rate. Sale of shares or units (including in a managed fund). Distribution of a capital gain by a managed fund or other trust. Receipt of a payment from a company other than a dividend. When a liquidator or administrator declares shares in a failed company are worthless. When shares are cancelled because a company is wound up. Creating a trust over a CGT asset or transferring a CGT asset to a trust. There are about 50 CGT events. Details of each can be found in the ATO’s Personal investors guide to capital gains tax. The timing of the event is important. If an asset is sold, the CGT event happens when you enter into a contract (eg. when you sell shares on the market, it is the day of sale not the day of settlement). The distribution of a capital gain from a managed fund is taken to have been made in the income year shown on the statement. 1. Indexation (see table below), which applies only to assets acquired before 11:45am on 21 September 1999 and allows you to apply the CPI (up to September 1999 only) to the cost base of the asset. Subtract the result from the capital proceeds to arrive at the capital gain. Use the method if shares or units were held for 12 months or more and it produces a better result than the discount method. 2. Discount capital gains by half after first deducting any capital losses. Use if shares or units were held for 12 months or more and it produces a better result than the indexation method. 3. Other method applies if shares or units were not held for 12 months and the indexation and discount methods do not apply. Simply subtract the cost base from the capital proceeds. * Indexation applies up to September 1999 only.